This month sees a Fisherman Style FIRST!!!!!! For the very first time at one of our sessions we will have live on stage Perth's newest and finest reggae outfit CRUCIAL ROCKERS! 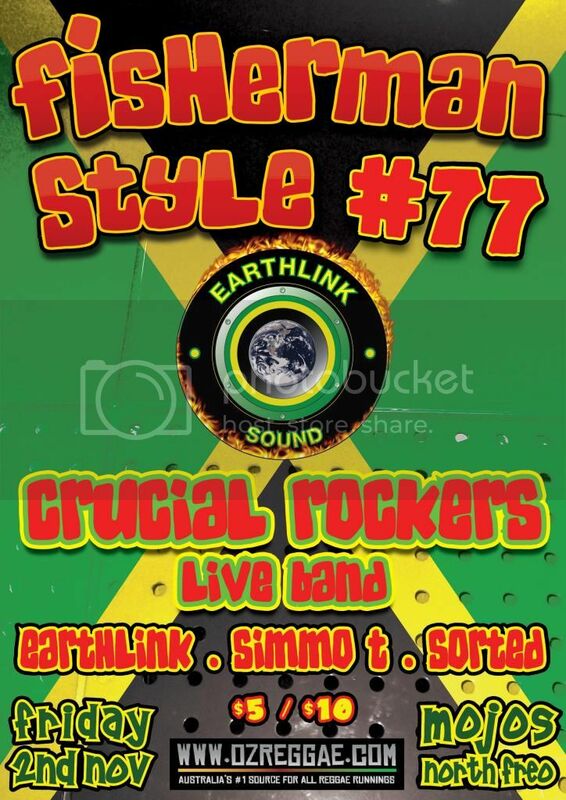 Fronted by the amazing Grace Barbé, Crucial Rockers bring you a night of sweet and authentic Jamaican rhythms and wicked dancehall vibes with a mix of classic reggae, ska, Studio One, roots, dub, rockers and dancehall. Featuring the mighty rhythm section from Grace's multi award winning "Afro-Kreol" band plus a skanking reggae horn section, Crucial Rockers bring you the genuine sound of Jamaica. Drummer Freddy Poncin has backed reggae greats such as Lee Perry, Eek-a-Mouse and the Itals, while bass player and leader Jamie Searle aka Choppa Crucial has worked with Ini Oneness and the UK Players, Tony Roots, Barry Isaacs and Wayne McArthur. Sounds will be brought to you by Earthlink Sound featuring Sheriff Lindo, Kritical and Drummie alongside DJ Sorted and the mighty SimmoT. Runnings start from 8pm with entry free until 9pm then it's $10 pressure on the door. Get down early cause this one ago ram!